Colton Groome & Company is excited to announce that Matt Groome has been chosen as one of the National Association of Plan Advisors (NAPA) Top 50 Plan Advisors under 40. Matt was chosen as one of only 50 advisors in the country for this award from nearly 10,000 NAPA members. The NAPA annual list of winners highlights a new generation of leaders in the Retirement Plans industry. According to a recent report from Reuters, 40% of all advisors will be retiring in the next decade, with 35% 55 years or older. Matt Groome leads a new generation of Advisors who are committed to the challenging opportunity of helping participants save enough money to be comfortable in retirement while life spans are increasing. 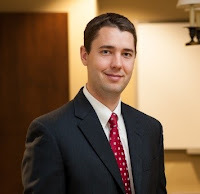 An Asheville native, Matt Groome joined Colton Groome & Company in 2009. Matt also holds a BS in Business Administration and a Master of Accounting from UNC Chapel Hill. After joining Colton Groome, Matt discovered a passion for helping businesses design successful retirement plans and working with participants to achieve their retirement goals. Matt’s unique skills include helping to reduce fiduciary liability, enhance investment due diligence, assure reasonable plan costs through routine benchmarking analysis, align plan design to meet the goals of the organization and provide participant education. Matt continues to be recognized in the retirement plan industry through the Qualified Plan Financial Consultant (QPFC) credential from the American Society of Pension Professionals & Actuaries (ASPPA). This credential recognizes consultants’ proficiency in retirement planning, administration, and regulatory compliance. Matt volunteers time to the Leadership Asheville Program, United Way, YMCA, and OnTrack Financial Education and Counseling. Matt is married to his wife Lauren and they have a 7 month old daughter.